Pensioner Had TWO Wives When He Died. Which One Gets His Pension Benefits? By Pension Lawyer Eva Cantarella of Hertz Schram PC on Wednesday, August 23, 2017. When a pension plan participant dies, disputes sometimes arise as to the rightful beneficiary of the participant's pension benefits. However, things get extra messy when it is discovered that the participant had TWO wives when he died! Here's how one court sorted things out. In Ohiohealth Corp. v. Asiedu, No. 2:12-cv-761, 2017 U.S. Dist. LEXIS 12637 (S.D. Ohio Aug. 19, 2017), Francis K. Afrifi participated in two pension plans administered by Ohiohealth. Mr. Afrifi passed away in 2011, leaving behind $25,500 in pension benefits payable to a beneficiary. Under the terms of the plans, if a participant is married at death, 100% of the participant's pension benefits are automatically payable to the participant's surviving spouse UNLESS the spouse waives this right in writing and consents that the benefits will be paid to someone else. In Mr. Afrifi's case, TWO women claimed they were Mr. Afrifi's wife and entitled to his pension benefits. Not knowing who to pay, Ohiohealth filed an action in the Ohio federal district court asking it to decide who should receive the benefits. One of the claimed wives, Comfort Yeboah, presented evidence that she married Mr. Afrifi in Ghana in 1985 and that the marriage was not terminated prior to his death. The other claimed wife, Susana Asiedu, alleged that she married Afrifi in Ghana on November 19, 2004. However, Ohiohealth produced evidence that Mr. Afrifi was at work in Ohio on that date and only missed one day of work that week; therefore, he could not have been in Ghana getting married on November 19, 2004. Ohiohealth also produced beneficiary designation forms Mr. Afrifi completed shortly before his death, indicating that he wished his brother or cousin to receive a majority of his pension benefits and for Susana to receive the rest. The forms listed Susana as a "friend." In the course of the litigation, Comfort obtained a judgment from a high court in Ghana, which found that Mr. Afrifi died leaving behind two wives--Comfort and Susana. However, this ruling did not prompt the Ohio district court to "split the baby." Only ONE wife would be the winner. The Ohio district court found that the unrebutted evidence established that Comfort was Mr. Afrifi's wife from 1985 until he died, and that the pension plans stated that they were to be interpreted under Ohio law. 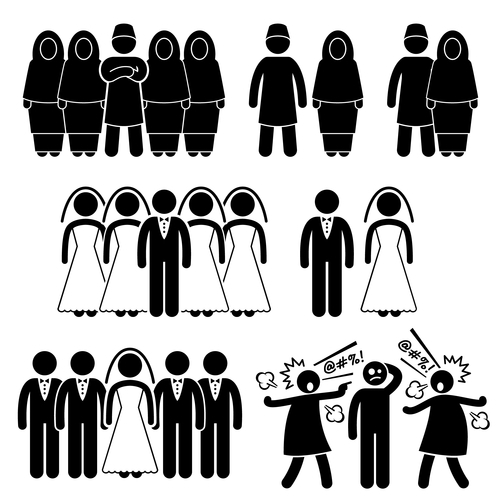 Under Ohio law, a marriage to a second wife is void absent evidence of a divorce from the first wife. No such evidence was presented. On the contrary, the judgment Comfort obtained from the Ghana court established that she was still married to Mr. Afrifi at the time of his death. Therefore, even if Mr. Afrifi and Susana lawfully married in 2004 under Ghana law, Susana could not be Mr. Afrifi's surviving spouse under Ohio law which was subsumed in the terms of the plans. Finally, the beneficiary form Mr. Afrifi signed, giving Susana and Mr. Afrifi's brother or cousin his pension benefits, was invalid because Comfort, as Mr. Afrifi's wife under the terms of the plans, had not signed a waiver form relinquishing her spousal right to receive to receive 100% of his pension benefits. As illustrated by this case, courts typically resolve pension disputes based on (i) the terms of the plan; and (ii) the pertinent facts, as established by the weight of the evidence. However, ERISA [the Employee Retirement Security Act, which governs most private sector pension plans] also supplies rules that may address the pension issue in dispute. Therefore, an experienced ERISA pension attorney will examine the terms of the plan, facts, AND ERISA rules in determining the strength or weakness of a potential ERISA pension claim.